The moment I saw swatches of these shades I knew I needed to get this collection and get onto it the minute it released! Especially with Androgyny, that shade sold out in record time and I’m lucky I just kept refreshing my page till it allowed me to buy the holiday bundle as well as a back up of Androgyny as I knew I would fall in love with it as soon as I tried it on. 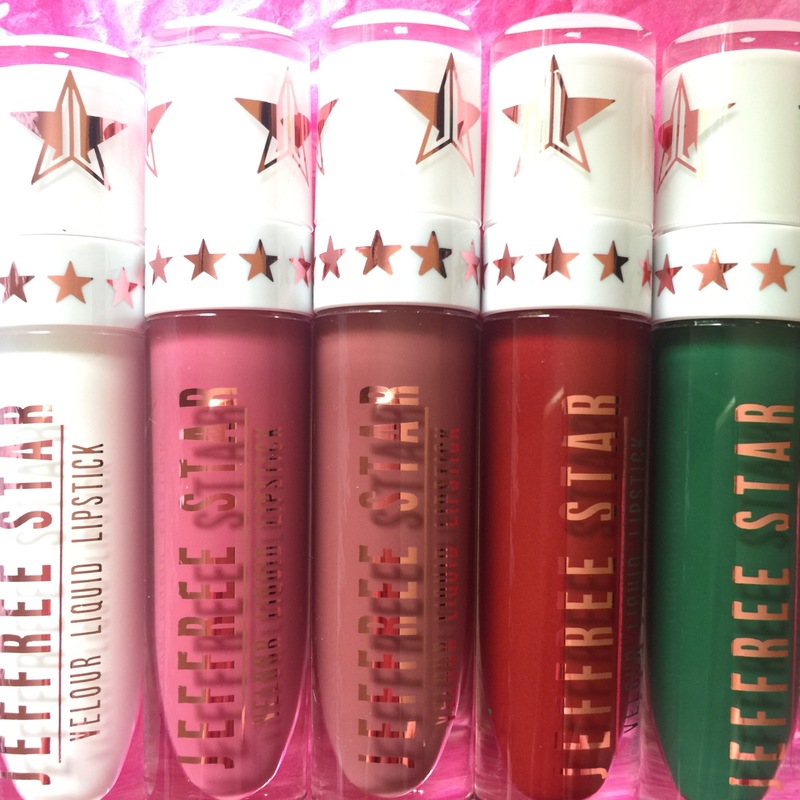 Now if you’ve never tried Jeffree Star Velour Liquid Lipsticks you need to get onto it! They are the best ones that I own and last incredibly well even with eating and drinking. I find that they only transfer if you are eating greasy food. And will only need a slight touch up on the middle area of your lips by maybe late afternoon if you have worn it all day. They aren’t as drying as soon but after you take it off I do recommend you exfoliate and put a lip balm on just to put back that lost moisture back into your lips, especially if you wear these multiple days in a row, which I do. 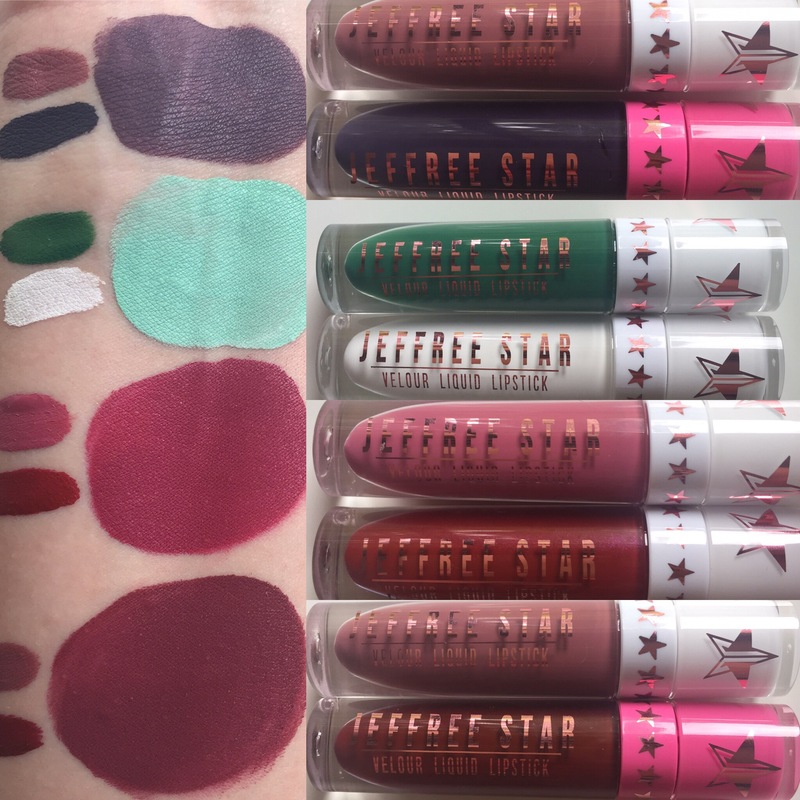 These products are cruelty free, vegan and eye safe which is a big bonus and it means that you can use these wicked shades for your winged liner. 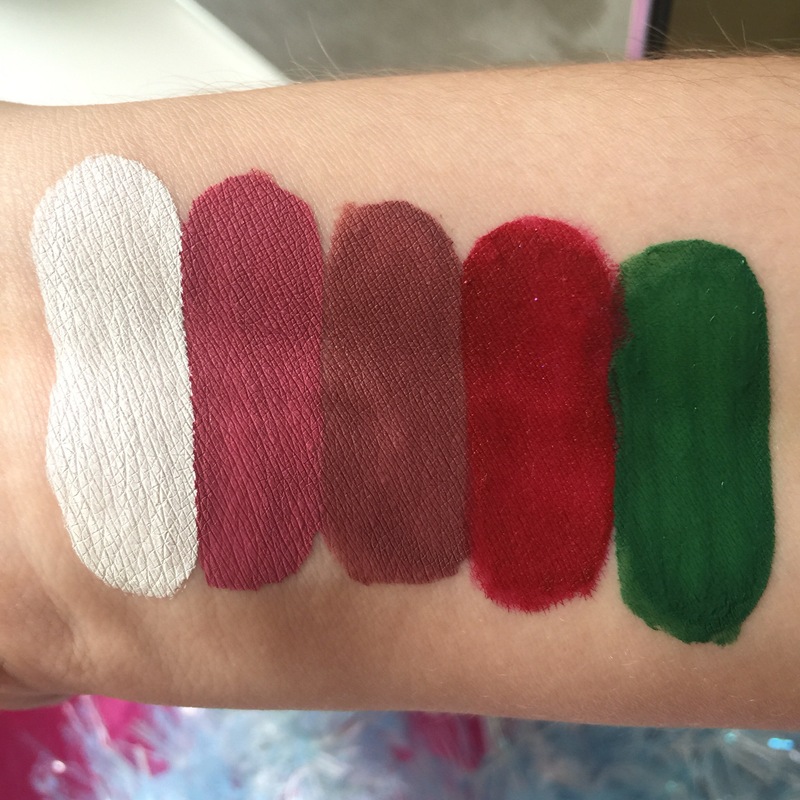 Left to right in the swatches is – Drug Lord, Doll Parts, Androgyny, Hoe Hoe Hoe and Mistletoe. Drug lord is great for mixing the perfect shade especially as some people find Androgyny too dark with their skin tone.